Who is looking for a super spot for reading, listening to music and relaxing? 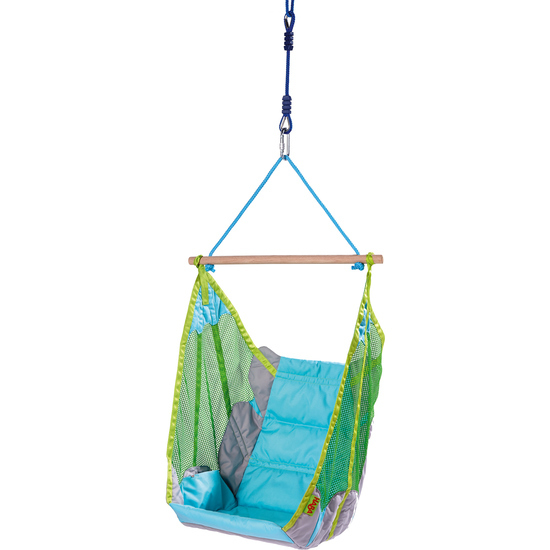 This padded swing seat responds to all desires; the swing rocks to and fro or turns around in a circle. Includes mount for hanging.